Guessing you’ve all been very good little girls and boys this year. ‘Cause Santa brought you an early Christmas present. 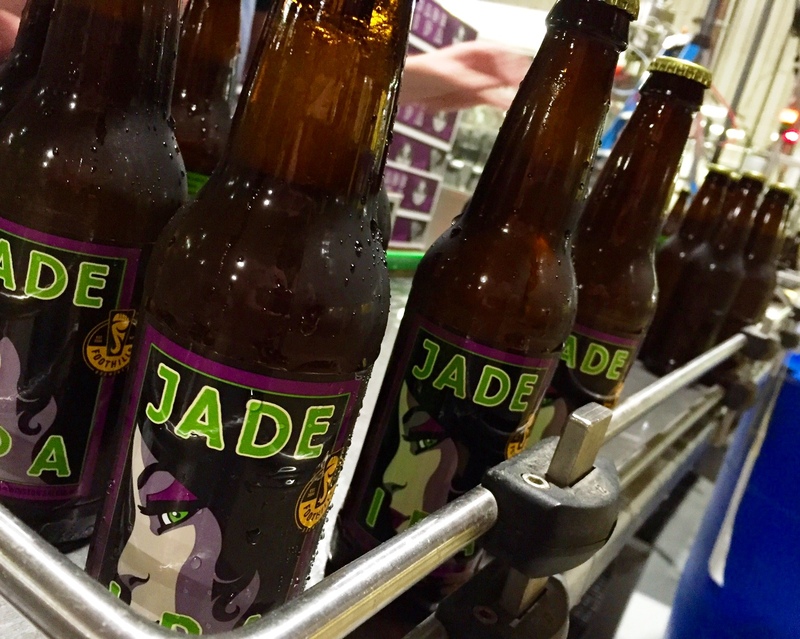 Got to work on a cold, dreary, rainy Monday yesterday – when what to my wondering eyes should appear – 12 ounce bottles of Jade rolling off the bottling line. That’s right — our amazing brewery production staff has been working overtime to get this done – and they got it done earlier than we thought. Take that Santa’s elves. 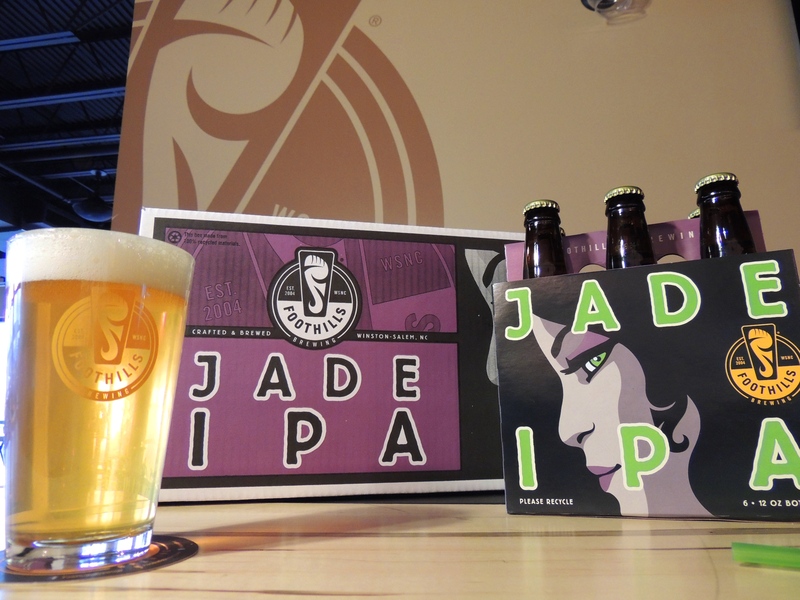 As of 11am Tuesday morning, Jade six packs and cases will be on sale at our pub. The tasting room will also have them when they open at 4pm Tuesday. 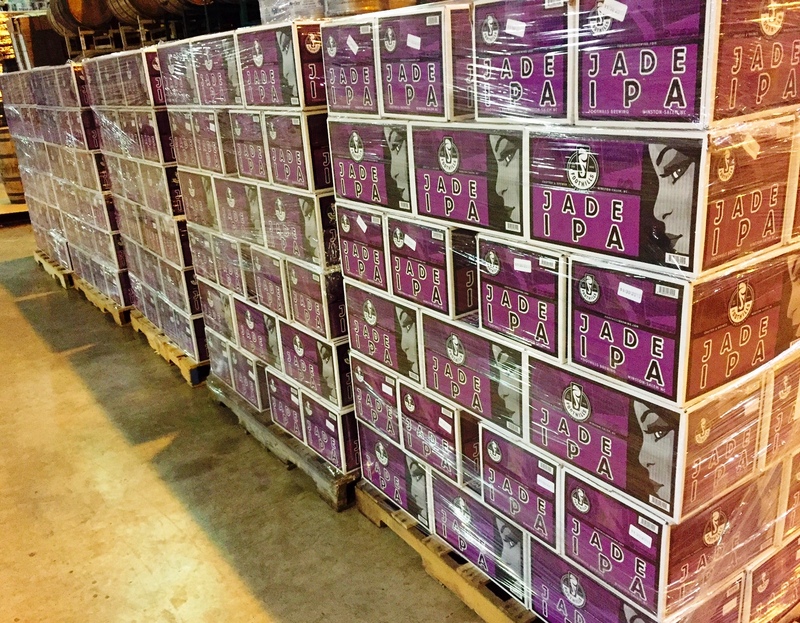 Palettes will also be leaving our brewery destined for our distributors’ warehouses; you can expect to start seeing them on shelves all over North Carolina next week at the latest. For now, ours will be the only state you can buy these. Our Beer Finder will help you locate where they are but be patient — inventory doesn’t register on the Beer Finder until it’s been delivered. 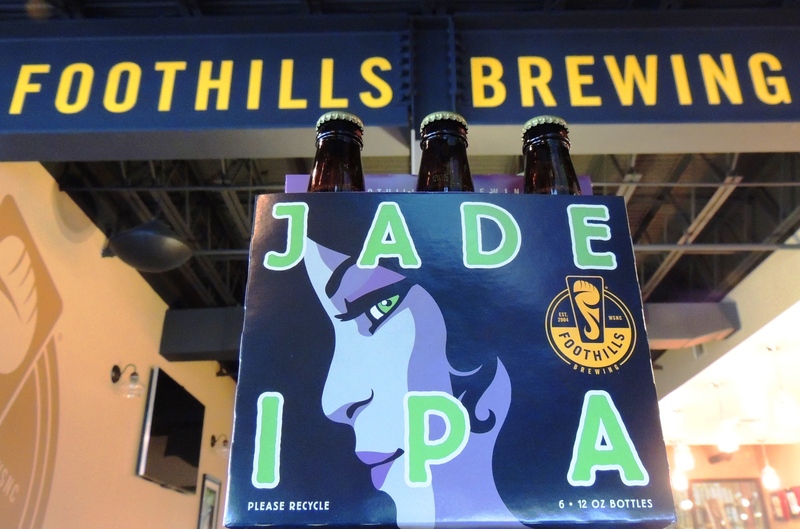 A month ago we blogged about the evolution of this beer, announced we were putting it in six-packs, and said we hoped to have them out by early 2016. 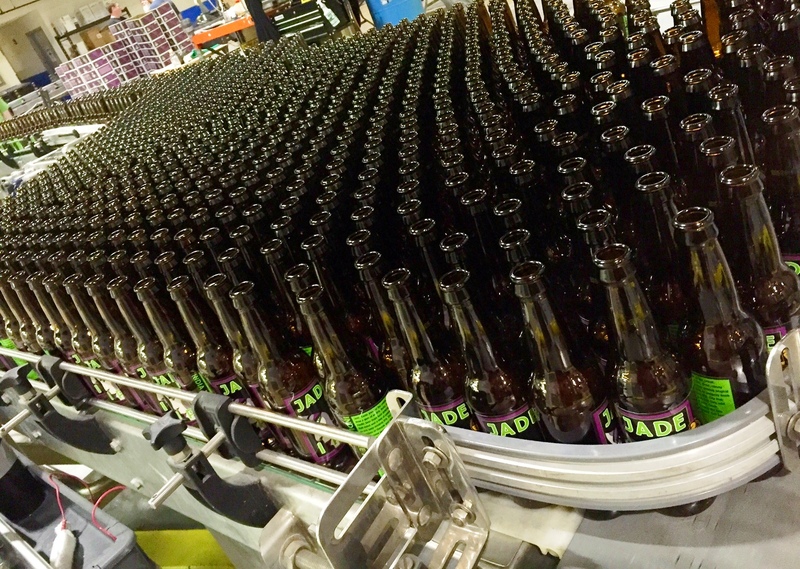 Categories: beer, beer releases, brewery, craft beer, IPA, north carolina craft beer | Tags: beer, beer releases, brewery, craft beer, craft brewery, drink local, North Carolina craft beer | Permalink.